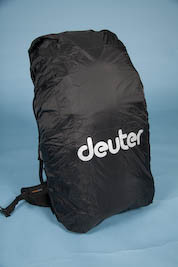 The latest harness development from Swing with integrated back section from the alpine backpack specialist "Deuter": the Connect Reverse convertible harness/backpack. A sophisticated, state-of-the-art and extremely comfortable paraglider harness! The Connect Reverse is particularly suited to any pilot looking for a top quality harness which is comfortable yet lightweight. The harness’s dual function as a backpack means that the entire piece of equipment remains compact and light. 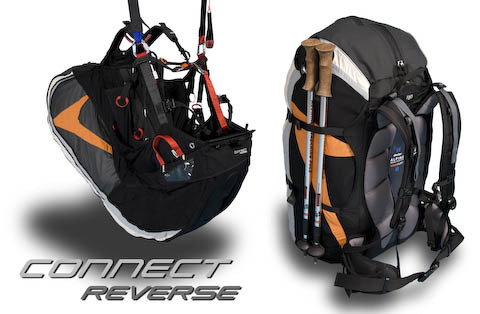 The best thing about the Connect Reverse is that it combines the usual perfect comfort level of Swing’s Connect range of harnesses with the outstanding carrying features of Deuter’s successful Alpine Back System, and also an appealing and well-shaped design, which is by no means the norm for convertible harnesses. The ergonomically formed and flexible Vari Flex hip strap guarantees high freedom of movement and optimal fit. 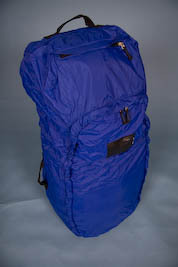 Equipped with this unique, top quality back section, the Connect Reverse sets real standards in the paragliding scene among the popular convertible harnesses when it comes to carrying and seating comfort, and it is also ideal for all para-trekking pilots who like to scale unusual launch sites and enjoy long flights. In addition, there is its ease of operation, optimal weight distribution, high level of functionality and highest quality, yet all of this with a low weight. The Cordura fabric used in the harness is light but, at the same time, robust and of particularly good quality. 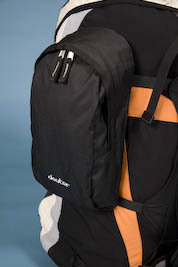 The backpack can also be customised according to the pilot’s individual needs with various accessories, such as the top and side pockets. Right from launch, the Connect Reverse has a high level of safety thanks to the optimal hang point and the special design of the airbag. The hang point is selected in such a way that it gives the pilot the maximum feedback and, at the same time, produces a very stable feeling during flight. The airbag system for the Connect Reverse uses special foam material which becomes active even before launch and thus, already at this stage, guarantees greater safety than standard airbag systems. The airbag unfolds completely with the airflow and achieves 100% protection during the take-off. The collaboration and wealth of experience of three such well-known manufacturers – Woody Valley, Swing and Deuter – make the Connect Reverse an exceptionally sophisticated product and possibly the most innovative convertible harness on the market.